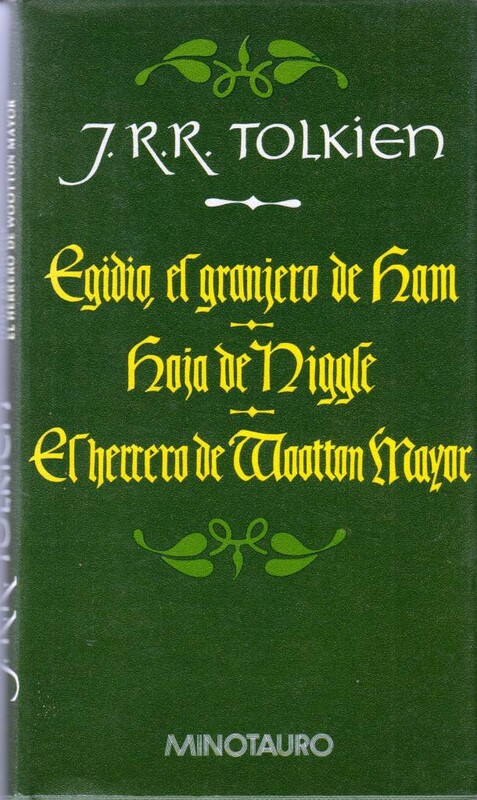 In Spanish: Farmer Giles of Ham, Leaf by Niggle and Smith of Wootton Major – HB 2796. 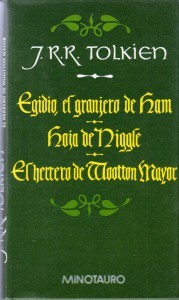 Spanish translation of Farmer Giles of Ham, Leaf by Niggle and Smith of Wootton Major: Egidio, El Granjero de Ham, Hoja de Niggle and El Herrero de Wootton Mayor. Hardback with dust jacket, 144 pages, 12,2 x 20,6 cm, minotauro 1988, 11th printing. Weight 212 grams.